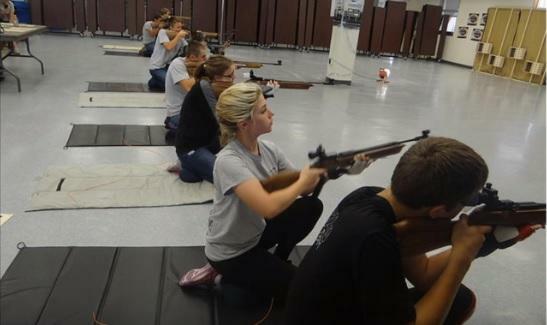 Please sign the petition to shut down firing ranges in US high schools! Your message will be sent to your state legislators. One thousand six hundreed high schools have marksmanship programs affiliated with the Junior Reserve Officer Training Corps Program and the congressionally-chartered Civilian Marksmanship Program, (CMP). Children are regularly taught to fire air rifles that are classified as lethal weapons by the military. The Army taught Florida gunman Nikolas Cruz, the mass murderer at Stoneman Douglas High Schoolm how to shoot a lethal weapon in his high school cafeteria when he was 14. Nik was a member of the school’s U.S. Army JROTC Marksmanship Program. JROTC stands for the Junior Reserve Officers’ Training Corps. Nearly 2,000 high schools have military shooting programs. They should be shut down. The marksmanship programs typically use CO2-powered long rifles that shoot .177 caliber lead pellets at speeds up to 600 feet per second. They are lethal weapons. America is the only country in the world that teaches riflery in its public schools. Militarism is a contributing cause of gun violence in America. These shooting programs don’t belong in schools! Please help us outlaw this abomination! Sign the petition to shut down shooting programs in our schools! Your message will be sent to your state legislation. To get involved with this campaign visit the National Coalition to Protect Student Privacy.